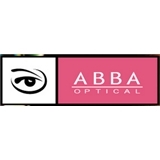 ABBA Optical (Lytle) - Book Appointment Online! The office is on the way home and convenient for me. The reception was friendly and the doctor was friendly, informative, and down-to-earth - something not commonly seen these days with doctors who tend to be full of themselves and seem to be too busy to be "doctors."